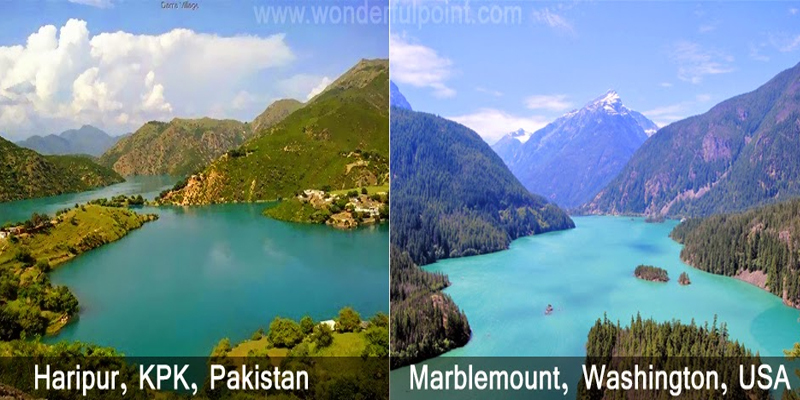 Beauty shares similarities and when it comes to natural beauty, you would be amazed to see how some of the places in Pakistan look so similar to other places in different countries. Some of such locations have shown in pictures below with other locations that look like them. List could have been made longer by including the pictures of Northern Areas of Pakistan comparing them to such places in rest of the world, but that would have diminish the joy of prominent look alike so list is reduced to only notable look alike places. Northern Areas of Pakistan are said to be one of the most beautiful valleys in the world. Since all valleys somehow share similarities, these are not compared.